Are you looking for the key to God’s hand? Happy Monday! We just came off an amazing weekend at KFirst! We are in the thick of the fall season and I’m excited about what’s happening in our church community. If you were not able to join us, we had a busy day of ministry that makes it exciting be a part of an amazing church community. I’ll kick off Monday with a simple TRUTH for ya. It comes from a friend of mine. 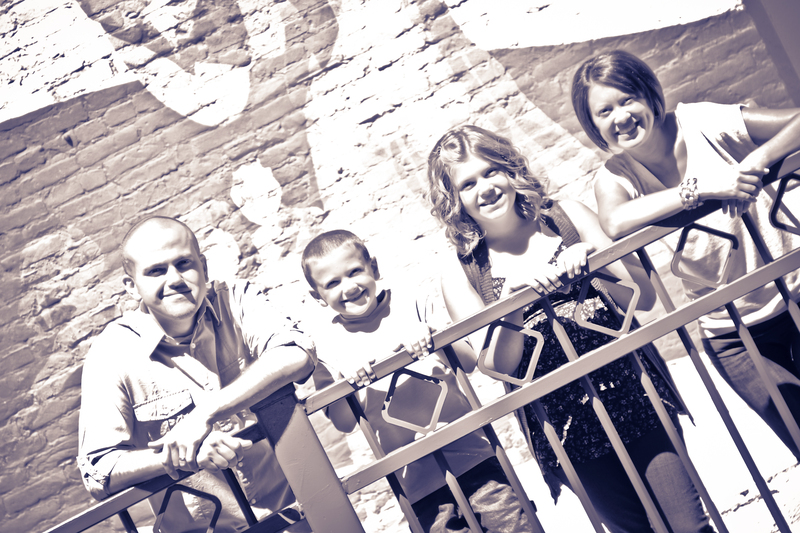 Brad Leach is a church planter in the Philadelphia area. He says, “The key to God’s hand is God’s heart. Do you want to experience God’s hand on your life? Love what He loves!” Coming off what we preached yesterday about loving the Lord our God, this flows perfect. Live out this week loving God…and loving what he loves. It’s a perfect example of Mark 12. This is a great segway into recapping our Sunday and looking forward to this week. #1 – KFirst continued our series “Dust” yesterday. We focused on “The Code” to live by. The Shema (Deut. 6:4-9; 11:13-21; Numbers 15:37-41) was read twice a day and lived out as their “code” for life. We talked about when the word “hear” is used in scripture. When used, it means more than the faculty of hearing. It includes listening, taking heed, and responding with action to what one has heard. This word gives us a greater understanding of when the word “hear” is used in prayers. I love the song we sang at the altar. A simple TRUTH to remember: Belief is not just something you do with your brain, it is something that captures your heart and radically alters the way you live. We want the shema to capture our heart as we love the Lord with all of our heart, soul, and very (oomph). If you missed the message, download it from iTunes later on Monday or hit the website. #2 – Wednesday nights at KFirst are back! We had a great night last Wednesday with our Rangers and M-pact ministry going and our Adult classes in full swing. I’m having a blast teaching John, my absolute favorite of the four Gospels. Please join us. We’ll have fresh coffee and great connections. #3 – Tailgate Party is here. 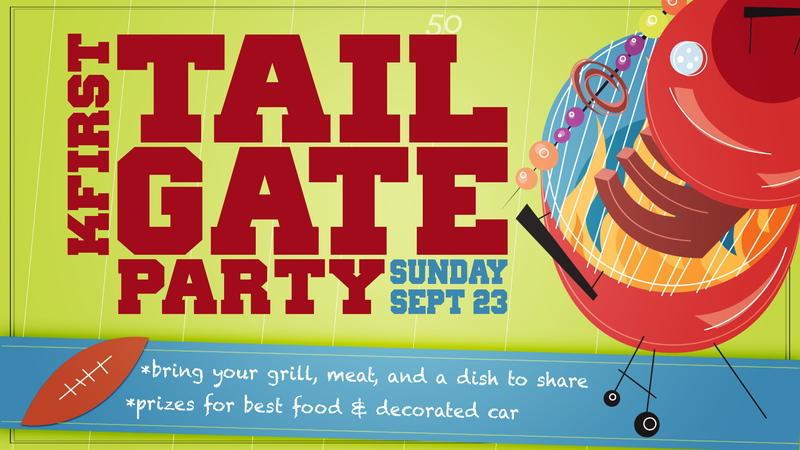 September 23rd is going to be a great day as we celebrate outside at our Tailgate Party. Park your car on the west side of the building when you come Sunday morning and stuff your cooler full of food for your family. Most people choose to wear their favorite team’s T-shirt/sweatshirts during the tailgate. Bring food for your family and feel free to share. It’s always a great time. #4 – Annual Business Meeting is a week and a half away. Our trustee nominees are presented in a handout at the information center and in the church office. I’d ask that you take some time intercede over this as we approach 3 trustee positions with prayerful hearts. We have such an awesome list of nominees and I am excited for the future of our board. #5 – Pastor Todd brought a need before our congregation that we challenge EVERYONE to be a part of. A member of our congregation, David Riegel, has been actively involved in ministry to Native Americans. Already this morning, I’ve been told we have had a great response. The need we have is for sleeping bags to be purchased for the cold winter coming. If you want to join so many others and purchase one, or two or three…they are just $10 per sleeping bag. You can give online or contact the office. That’s all we have today. Love the Lord…and love what he loves. Next Next post: Want to sabotage your marriage? I can help!! !